At this time Audible customers do not have the ability to send credits as gifts. We apologize for any inconvenience this may cause. You can, however, gift Audible Gold Monthly Gift memberships in increments of three, six, or 12 months. Given that Audible's cost of conveying a single credit is the same as processing that Gold membership, I can see why they would want to remove one option in favor of the other. Nevertheless, a number of Audible users are dismayed by this news. "I don't want to spend 45 bucks to send someone a 3 month subscription. I want to use a credit I have or spend 20 bucks sending them a single book," the original source wrote. Another agreed with the sentiment: "I am an author and that was what I used it for. Others used it to gift me a book, and they did not even need to buy a subscription!". While there was obviously some abuse of the system in that credits were sold on Ebay, gifting a single credit was still a valuable tool for many in publishing. For example: "As a narrator, this really distresses me. I use my credits to help promote the books I narrate - gifting them to various reviewers, my patreon supporters, friends and acquaintances interested in audiobooks. 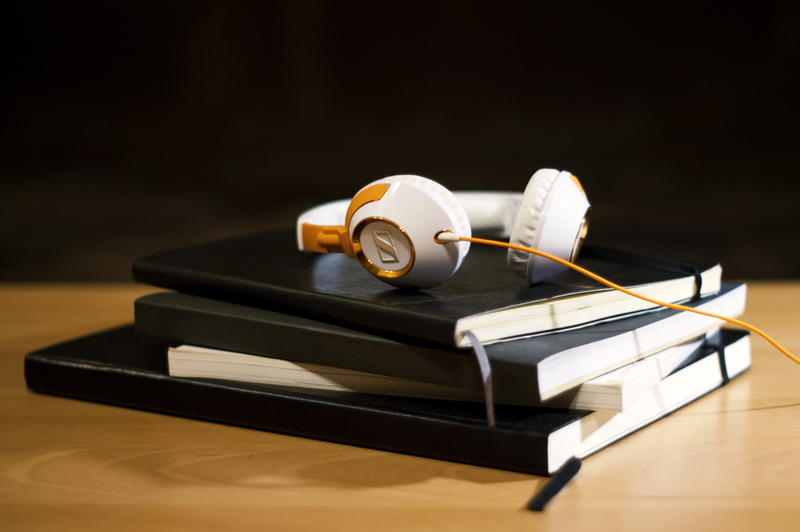 Audible sends you a handful of codes whenever you narrate a book on a royalty share contract. Now I guess I'm just going to have to send the code and trust that they use it to buy my book...otherwise, the whole system is pointless." Hmm… trying to sort this out. There’s a weird thing about the audible promo codes they give producers of audio books. They are just general credits, and not connected directly to the books you are trying to promote. So if you offer a promo code, you have to trust that the person receiving it will actually use it to buy your book (rather than use it for someone else). Apple has promo codes (for iOS apps and I think iBooks) directly linked to your product that can’t be used elsewhere. I wonder if this is somehow connected to abuse of the promo codes. But it seems that the solution is to link promo codes directly to a particular product, not to get rid of them all together. Dear Audible, first you got rid of “Gift a Credit!” from your audiobook service, so one could no longer give someone an extra credit at the end of the rollover period. It was also a great way to give someone a birthday or Christmas present, so they could choose which book to get. Then you switched to “Buy as a gift”. Ok, a bit less of a surprise, unless you’re really sneaky finding out what someone wanted without their realizing. Then, for some unfathomable reason, you removed the “Buy as a Gift” option for audiobooks. Your lame excuse of “we will be focusing on our most popular customer benefits” is utter codswallop, because how does removing these two options benefit me? Or benefit a gift recipient? It’s stupid crap like this that makes people look for ways to ‘convince’ your proprietary MP3 format, which can ONLY be played on Audible approved devices (that still rankles me), to play on other devices, in NON-proprietary MP3 format, or look for the audio CDs instead. I am not saying I do this, but I can understand WHY. I’m glad to see more and more people talking about this. When I created that post on Reddit I wasn’t seeing enough outrage as I thought there should be. This does not benefit the consumer at all. Removing the gift option benefits Audible and Audible only. It’s ridiculous. I loved buying particular Audible books for my friends. I have done it at least a dozen times. I’m really going to miss this feature! It’s the difference bettween picking out a special gift and just giving a gift card. Plus the minimum order size for a gift is 3 months membership. This is cost prohibitive! Gifting with Audible is pretty much totally broken now. We need cross platform alternatives ASAP! I, too, am appalled. I just tried to send a $1.89 story to an old school chum. That lead to an unsatisfactory chat session and less satisfactory phone “help”, where I was instructed that I had to use my cell phone to download an “app” because I did not run Windows 10. GREAT. To send a “gift” (that my friend will have to use a credit to redeem), I have to compromise my laptop with Security Nightmare Windows 10. I’m furious beyond words. This is awful. They keep using the same talking points about “Gifting a membership means you benefit because the recipient gets the same benefit as you” Really? One of my “things” I do to build relationships is to give a meaningful book that would be special to the person. I would never gift a membership. Pretty much ever. Hey happy birthday, here is a gift that keeps on costing you money. Yeah that makes sense. Has anyone tried emailing Jeff Bizos, The head of Amazon. He probably won’t be able to do anything but he has a reputation of listening to customer complaints. I’m also pissed. They are going to piss off customers that have been loyal because they can’t figure out how to stop people from bucking the system. I have found several other platforms that sell audiobooks. I’ll be cancelling my monthly subscription today. I have been an audible subscriber for years and have purchased many hundreds of books … and I’ve been waiting for the “Amazon abuse” to kick in .. and now it finally has! I can no longer buy a book and gift it to a friend? WTF? I now have to spend $45 and send a “gift” which requires the recipient to sign up for a membership that they didn’t ask for when they only may want to listen to the one book I want to send them? Nothing but another Amazon move to own all information and everyone for the almighty dollar. Bad enough that the thousands of dollars that I have spent are all locked up in proprietary format files that I could be unable to listen to should Amazon come up with another scheme to extort more money from us. I have enough books that I have not listened to to last me several years, so I’m going to terminate my membership … THAT is how upset I am over this thoughtless move on their part …. I!m mad, too. I loved sending a specially chosen book as a gift. now I can’t do it. . I’m out looking for a new platform! so pissed right now. Wanted to send my brother a much needed uplifting book as he is having an incredibly hard time. I believe in the power a good book can have on one’s life. I called Audible to say what the hell? And the first guy hung up on me!!!!! Obviously frustrated the second said there is no option and the third a supervisor said she would add me to the list of complaints. We all better complain loudly or this isn’t going to change. It’s really BS I can’t even pay them to send my brother a book to listen to. I am searching the internet now for an option but as he is homeless I have nowhere to send an actual book. They could have cared less!!! I’ve listened to a lot of great books on Audible. I love gifting the best ones to family (Birthdays, Christmas, Mothers Day, Fathers Day). I was dismayed yesterday that I was blocked from gifting a book to my father for father’s day. I ended up sending him a hard cover version instead, but it really isn’t the same. You can listen to a good book while driving, exercising or working in the yard, but you can’t do that with a hard back book. A membership is not only a more expensive gift, it doesn’t actually allow me to send a hand selected book. Finally audible’s option to “send a book” only really works as a gift the first time, the rest of the time “they” have to pay to get the book I’m sending. It’s not really a gift if “they” have to pay for it. I’m hoping audible will come their senses and let me gift books again. I literally want to send them more money, it’s crazy that they are blocking it. If it is because of some loophole that is being taken advantage of, as this post suggests, don’t throw the baby out with the bathwater. You are totally spot on. I plan to launch a full media campaign against this greedy practice at all costs. I spent thousands of dollars to produce books and cannot gift a book at MY EXPENSE to my grandmother or anyone else … Stupid policy . Audible must be sued over this. Please, all narrators and authors stand against this stupidity! ACX must be held accountable even if there is a class-action on this. I’m just now realizing this is a problem. When I’m listening to long books my credits build up. I was told I can’t hold more than 6 credits at a time, to deal with this, I gift books to family members. I loved this option, especially when I heard a really good book I had to share. I will now be canceling my Audible membership I’ve had for five years. Can’t share the credits, can’t hold onto the credits. And I was told that as soon as I cancel my membership, my existing credits will be lost. Sad end to a good run. How can this be a ‘win’ for Audible? It certainly isn’t for the customer. Audible needs to go back to its ‘gifting’ policy of using a credit to give a gift. Very very disappointed. I am a customer from the beginning. I got my membership I was so happy I later I enrolled my son 12 years old. Over time he has accumulated many credits which I would like to send to me or friends. Beside helping connect people in a deeper level (tell me a more noble cause) it is a great promotion for the company itself. It is such bad bad choice. I am a faithful client, I don’t wish to look for another company, I was very happy with it. Now it is missing ease and flow. It is s bad decision please reverse it. Pissed me off so much I quit! I have been a member of Audible for years and have spent thousands with them. With this option removed, and trying to get them to reinstate being able to gift a book using one of my credits, it’s pretty pointless staying a member. There are LOTS of audiobooks you can listen for free, for example on Youtube. Sick of Amazon, one of the richest companies in the world, just trying to make more money rather than listening to its customers. As someone looking to promote reading of my nephews, i am EXTREMELY DISAPPOINTED in Aubible removing gift credits. What is the point? That you are sucking up to a few whiny authors or publishers? And what is this BS about “processing cost”. Of course, the cost is the same for the credit as a new membership. It is all electronic, thus a penny or less per transaction. Unless all your charges go through a third party. But even VISA is only about $1.25 per max. Audible, you act like you are still setting up your business. Your not. You people must think that we consumers are all stupid. And we have unlimited money to pay for books. We are not. Bring back the give as gift function! This is a debacle and a fiasco. What???!! You can’t give someone a book? Asinine. All I want to do is send a friend a specific title as a gift. Not permitted. This is what a monopoly looks like. Amazon treating good, loyal customers like criminals. They would sell me a hell of a lot more credits if I could gift books.THE MOMENT another good audio book option becomes available that DOESNT TREAT ME LIKE A SECOND CLASS CITIZEN, IM OUT, AMAZON. DO YOU CARE!?!? I too agree. How can this be a benefit to the customer. Gift option was great for family and friends. Though I have been a member for many years, I’m going to look for another platform option. I cancelled my subscription after 18 years because of this issue. However I’ve just received an email from Audible confirming that the gifting option has been reinstated. If it is the case, I’ll take out a new subscription.